If you are charged with a Texas crime or have a Texas criminal problem that is not listed above, please call me at 512-869-0131 to discuss your situation. I have handled a wide variety of misdemeanor and felony cases during my 34 year legal career. I am here to help you if I can. Ken is a Former Williamson County Misdemeanor Criminal Prosecutor. He served as an Assistant County Attorney in Georgetown 1985-86. 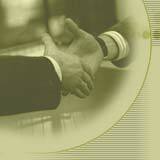 Licensed to practice law in Texas by the Texas Supreme Court since 1984. Serving Williamson, Travis, Bell, Burnet, Milam and other central Texas Counties. Free Telephone Consultations. Office Consultations for Criminal Law Matters for $250, which includes up to one hour of a face-to-face discussion of your criminal law problem in my office in Georgetown. Payment Plans Available for most legal problems handled. I represent clients in criminal law matters in Justice of the Peace Courts, Municipal Courts, County Courts, County Courts at Law, and District Courts in Texas. Note: All four of the above county courts at law are located on the second floor of the Williamson County Justice Center at 405 Martin Luther King in Georgetown. Note: All five of the above district courts are located on the first floor of the Williamson County Justice Center at 405 Martin Luther King in Georgetown. I represent clients in Williamson County, Travis County, Bell County, Burnet County, Milam County, and other counties in Texas. 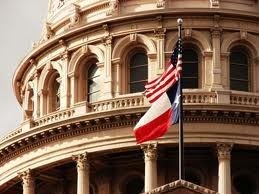 I am licensed to practice law in any state court in the State of Texas. Contact our Georgetown, Texas, office at 512-869-0131 for representation in Georgetown, Round Rock, Cedar Park, Leander, Taylor, Austin, Hutto, Liberty Hill, Jarrell, Walburg, Weir, Andice, Jonah, Schwertner, Florence, Pflugerville, Fort Hood, Rockdale, Cameron, Temple, Killeen, Harker Heights, Belton, Burnet, Bertram, Elgin, Thrall, Thorndale, Salado, Bartlett, Granger, Coupland, and other cities in Central Texas.